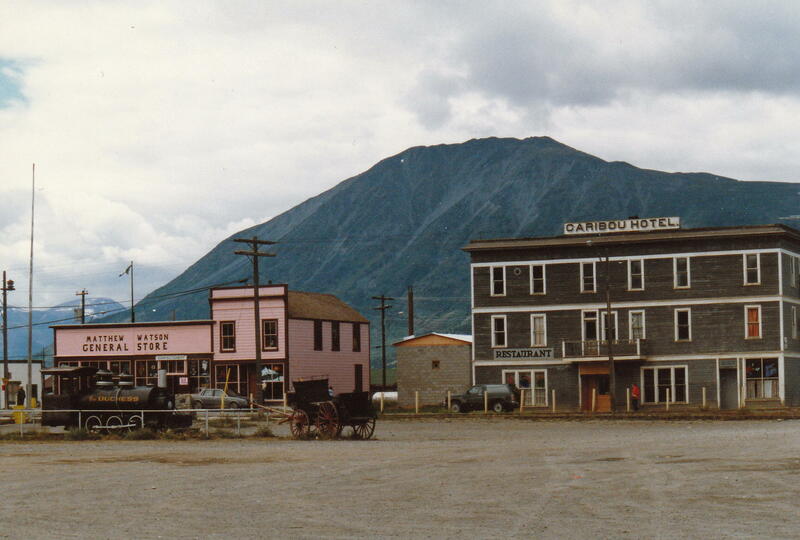 The Caribou Hotel is the second hotel on the site, the first having burned in 1909. The new hotel, constructed in 1910 was added to Canada's register of Historic Places 2008/01/25. Matthew Watson General Store claims to be the oldest operating store in the Yukon. Visible in the foreground is a small steam locomotive engine, \"The Duchess\", which was used between 1899 and 1919 on the two mile Taku Tramway from Taglish Lake to Atlin Lake.